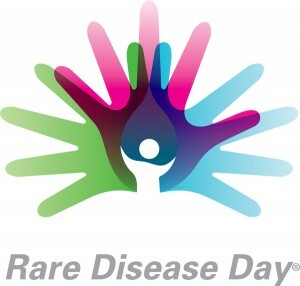 February 28 is Rare Disease Day — a concept first initiated by the European Rare Disease Organization (EURORDIS) and now recognized around the world. Around 6,800 rare diseases have been identified and up to 80% of them have a genetic origin. 23andMe provides genetic health reports for many of these conditions and also carries out research on a few of them. When it comes to rare diseases, rare is not actually that rare. Take that one person with cystic fibrosis, the other person with sarcoma, and then someone with sickle cell anemia. All of these conditions are considered rare, but when you add up all the people with a rare disease you land at “one in ten.” This means that roughly 30 million Americans suffer from a rare disease. Definitions can vary, but in the United States the “rare” label is applied to any condition that affects fewer than 200,000 individuals, or roughly one in 1500. Rare diseases are often poorly understood, with symptoms that can be difficult to diagnose, and can be life-threatening. Most rare diseases can’t be cured and many lack effective treatments because research is often hampered by a scarcity of study participants and poor funding. 23andMe hopes to change this. Our Myeloproliferative Neoplasms and Sarcoma research initiatives are aimed at understanding what causes these conditions, information that may one day help bring about a cure. Beyond these initiatives we also research rare diseases through the typical customer experience. Individuals come to 23andMe, receive their genetic results, and if they desire, contribute to research by providing information about themselves. Our scientists aggregate this information and draw interesting correlations. A first-glance finding is that roughly nine percent of 23andMe customers have a rare disease, right on par with the national average of ten percent. Slightly more 23andMe individuals with a rare disease are women.